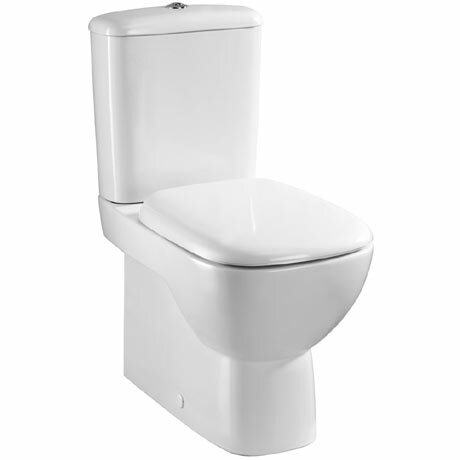 The Moda close coupled toilet is a stylish and environmentally friendy water saving toilet. The cistern uses 4 or 2.6 litres each flush, 60% less water than a standard toilet. Manufactured from vitreous china, this toilet can be used in domestic and commercial applications. Comes complete with a choice of standard or soft close seat. Dimensions: (W)356 x (D)640 x (H)800mm approx.